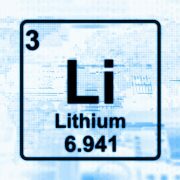 Vancouver, BC – Ultra Lithium Inc. (TSX-V: ULI) (FSE: QFB) (“ULI” or “the Company”) announces an operational update for the audio-magnetotelluric survey (AMT) currently underway on its Balkans Project in the Republic of Serbia. On July 23, 2012, geophysical crews commenced a comprehensive audio-magnetotelluric survey (AMT) on the Company’s 643 km² land package in Southern Serbia. 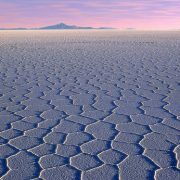 The data is now being used to interpret basin geometry and identify potential lithium and boron bearing horizons. The geophysical surveys are part of a Phase I exploration program designed to delineate drill targets by carrying out geophysical surveys, geological mapping and soil sampling. Geophysical surveys and interpretations are being carried out by Beijing Explo-Tech Engineering Co., (“BETEC”) of Beijing, China. The survey commenced over previously mapped alteration zones and has been expanded to cover the remainder of the property. It is anticipated that a total of 19 lines of AMT measurements totaling over 200 km in length, with 800 AMT measuring points, will be completed by October 2012. To complement the AMT survey results, the Company also plans to acquire additional gravity measurements at the same time.